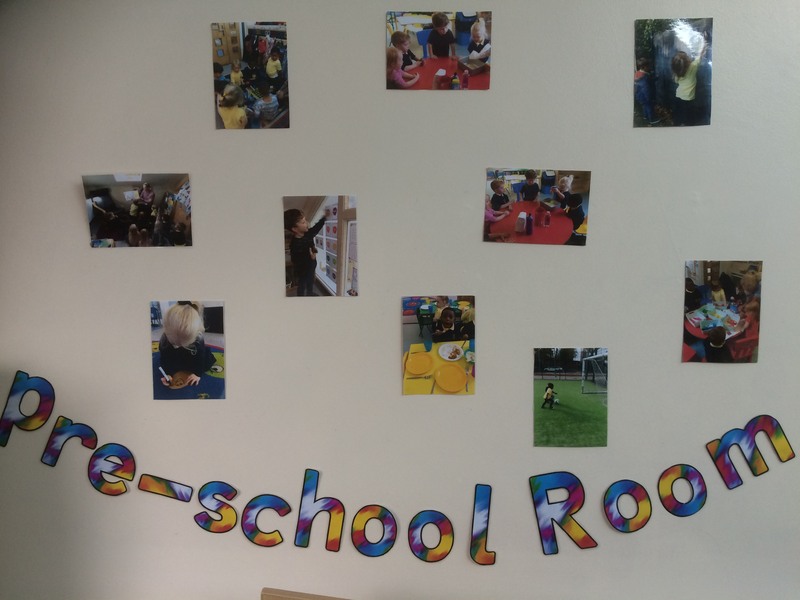 Pre-School room caters for children from 3 years to 5 years of age. We offer AM/PM sessions, as well as full days and wrap around care for children who also attend Foundation 1.There is four members of staff who work in the room. The pre-school room has a more structured routine than Toddler and Baby rooms. We encourage the children to be more independent through opportunities such as self-service at meal times and attending health and personal care, by accessing their water bottles and washing their own hands. We have a range of activities on offer that include cooking, science were we have made volcano’s with vinegar and bicarbonate of soda, messy and creative activities such as shaving foam, junk modelling to outdoor activities such as exploring puddles and planting seeds etc. We also make full use of the onsite facilities which include the football pitch, running track (where we hold our annual grand national), the climbing equipment and outdoor instruments.